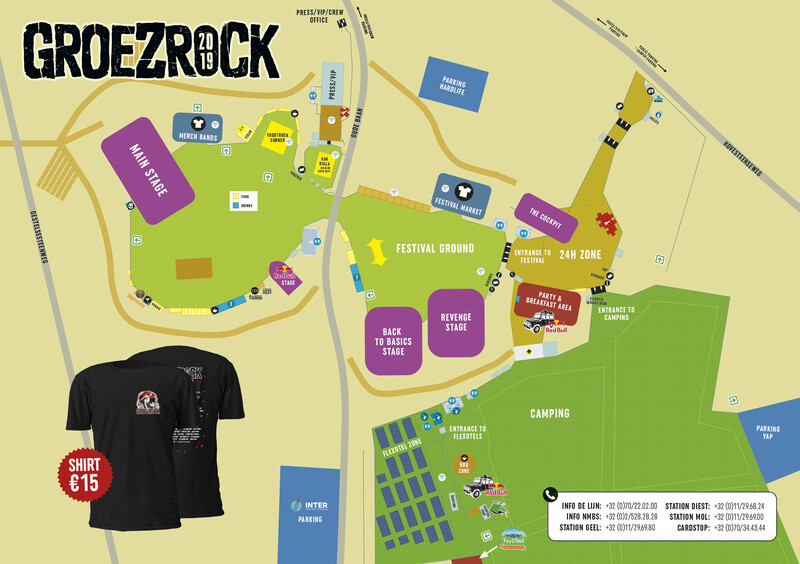 Please follow all indications to the Groezrock parkings - it's not allowed to park your car next to the roads in the environment, you will be fined and the car will be towed away. There's also a drop & go zone on the parking-route. It's not allowed to set up your tent at the parking area or to sleep in your car. But if you want to stay at the camping: €15 per person on top. Make sure you order these camping tickets in advance with your festival ticket.